I’d completed the Sonova office move, and just like when god created the world, I decided to rest from my work. 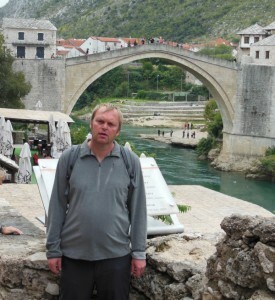 I had 5 days in Dubrovnik. There were a couple of pretty good day tours, and since I’d never been to Mostar I booked it. On the day, a few of us pile into a minibus and off we go. Its a small group, so our driver is also our guide. We stop of at Pocitelj. 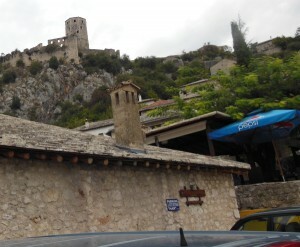 Extensive Ottoman architecture, the fortified town only has 30 inhabitants. It’s possible to climb up to the top, but since it was only a short coffee stop, didn’t seem worth it. Because of a thin strip of Bosnia that runs right to the Ocean, you actualy have to do 3 border crossings on the way out, and 3 on the way back. 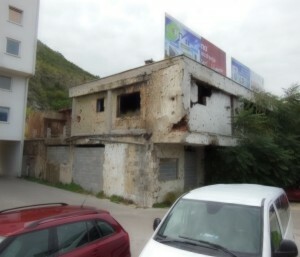 When we arrive in the outskirts of Mostar you could see buildings which had been shelled during the war. There are 2 sides to the town, connected by a bridge. 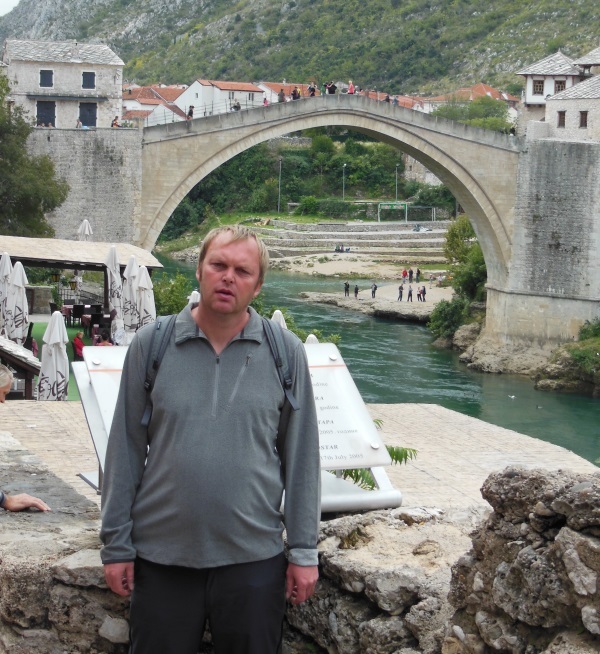 During the the war, the bridge was destroyed by deliberate tank fire. In a small museum there, it said it struck at the very heart of the town. Certainly, a video showing the moment the bridge came down was quite emotional. 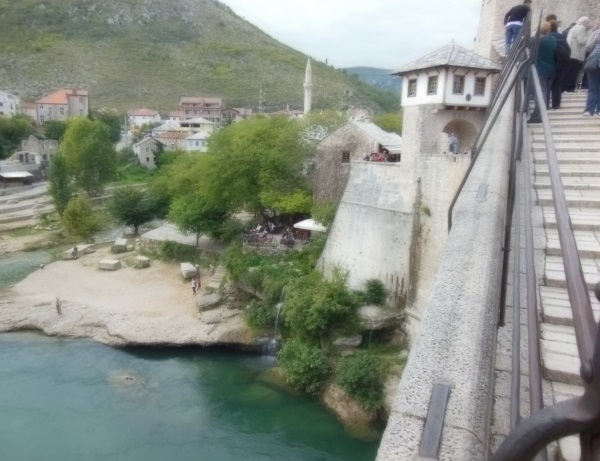 Another video of a shoot out on a bridge before it fell showed me what this peaceful little town must have looked like in the middle of a conflict. 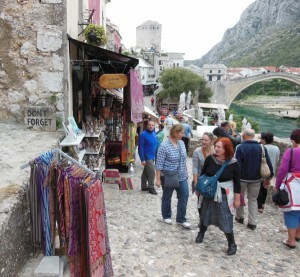 As we walk up, there are various shop selling souvenirs. 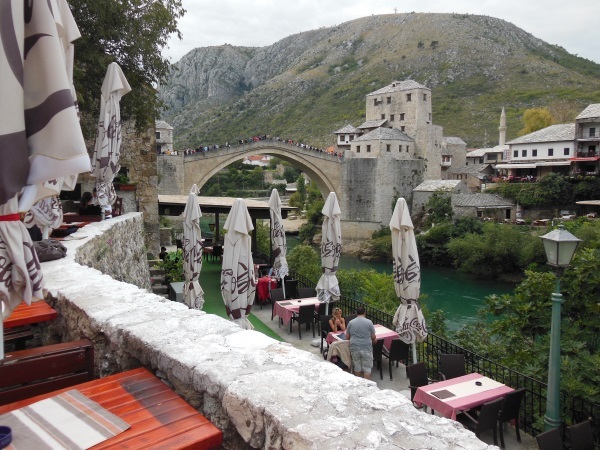 The Stari Most (the old bridge) had stood for 427 years until its destruction in 1993. It was rebuilt by the UN in 2004. I haven’t gone into the complexity’s of the war, as this isn’t that kind of site, and there wouldn’t be enough space here anyway. I have however included a video of its initial destruction for those interested. 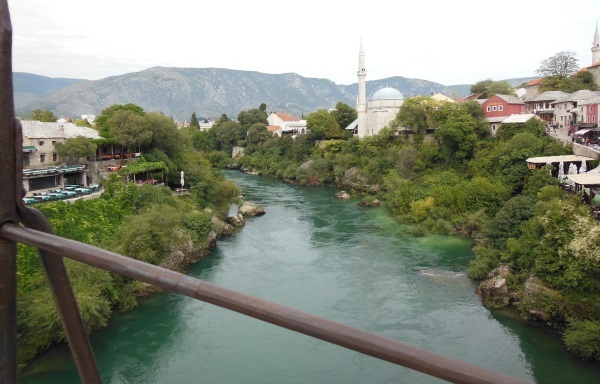 The view from the middle of the bridge and the Neretva river bellow it. As I wandered around the other side, I saw this sign near a clothing stall that said “dont forget”. I couldn’t decide if it meant, don’t forget the pointlessness of war, or dont forget to by a scarf. I sit down and enjoy the view. 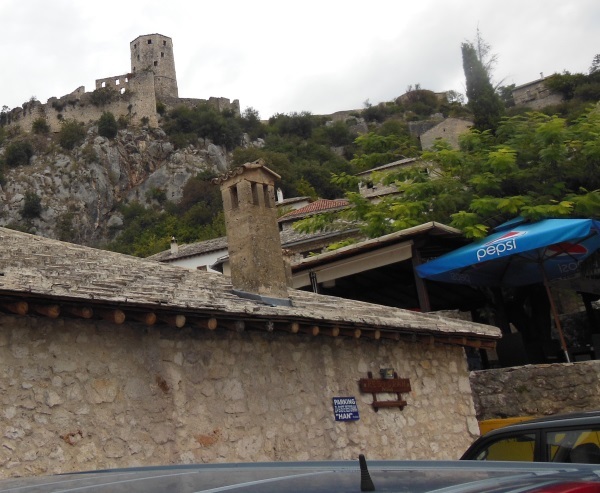 Some coffee, traditional Bosnian food then its back to our van. 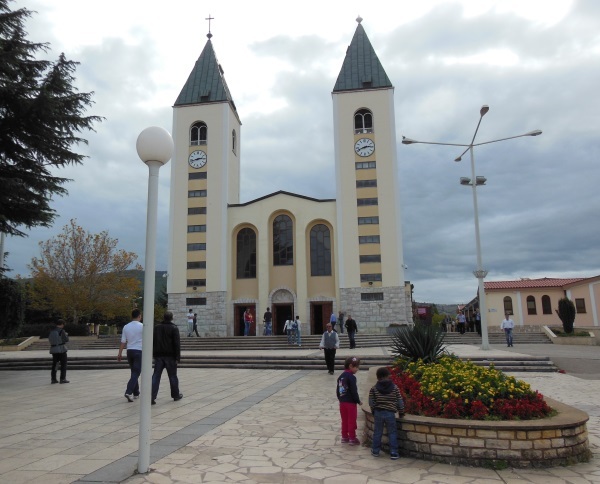 The itinerary included a trip to Medjugorje. it was explained that in 1981 6 children had “seen” the Virgin Mary and the site had become an unapproved (by the Vatican) site of Roman Catholic pilgrimage. Since then, the town has taken off including this enormous church with outdoor meeting hall and accommodation for the visiting faithful. If you read this site often, you know I’m open minded, but dont normally go for that sort of thing. Two other people on our trip were religious and really wanted to go, so off we went. There were HUNDREDS of shops selling religious artefacts, suffice to say, it didn’t really inspire me. 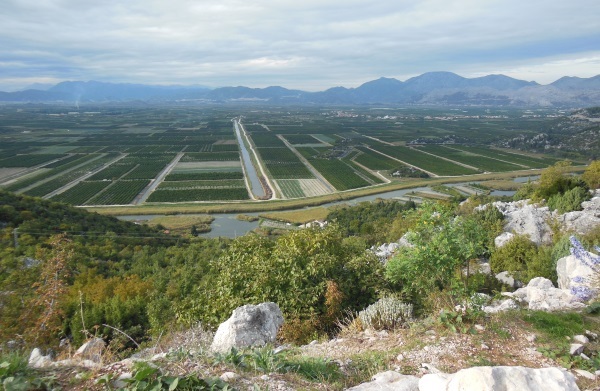 On our way home, we get this spectacular view of the Neretva valley. As you can see, its one of the most fertile places in Europe. Now, that is a miracle.